Meet Sugar, the Arabian Mau cat, who was found on the street in a cold October night. He was just two months old and very quiet. He didn't cry or follow people, but he was still very friendly with them. In this photography, narrative book, Sugar sees the world as he wants to see it. Nobody can do anything to change it. He likes to sing, celebrate Halloween, read magazines, think about the sky, and talk on the phone for hours, but he is worried about how to play the piano and how to eat when the table is not clean enough, and he really hates to do his homework. Sugar is funny and cute. 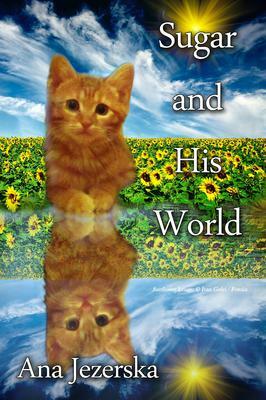 He will steal your heart, and you will enjoy reading this book.